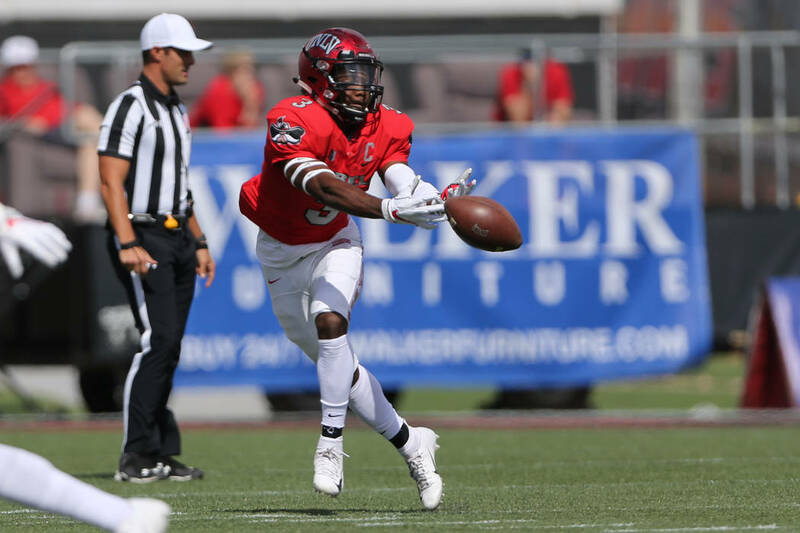 UNLV was a run-first offense with Armani Rogers at quarterback. Now with Rogers injured and not playing, the Rebels are trying to figure out exactly what is their offensive identity. 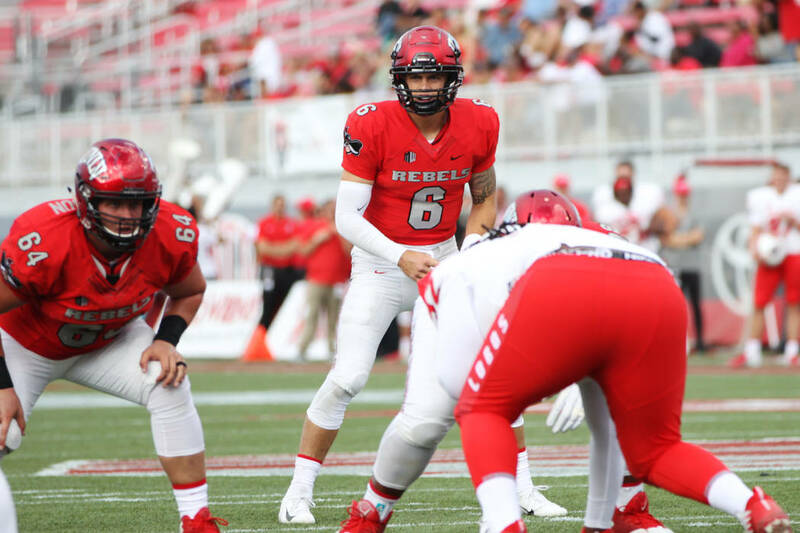 With Armani Rogers at quarterback, UNLV was a run-first team that called an occasional pass play to try to at least create the illusion of a balanced offense. Without Rogers, the Rebels are, well, what exactly? That wasn’t clear in Saturday’s first start with Max Gilliam at quarterback. They came out throwing because of the expectation New Mexico would load up to stop the run. It didn’t work, and the Rebels were routed 50-14. UNLV (2-3, 0-1 Mountain West) will need to find a way to do just that when the Rebels visit Utah State (4-1, 1-0) at 1 p.m. Saturday. Rogers is expected to miss another four or five weeks with a toe injury. He was averaging 122 yards rushing (6.9 per carry) and his size (6 feet 5 inches, 225 pounds) and athleticism forced opposing defensive coordinators to game plan for him. His running ability also took pressure off Lexington Thomas, who through the first four games averaged 116.3 yards and 5.9 per carry. He carroed six times against the Lobos, rushing for 36 yards, with 26 coming on one play. UNLV needs more production from Thomas, and Sanchez called him out after the loss for not running hard enough. Thomas didn’t disagree with that assessment. There also could be a case made that the Rebels’ coaches didn’t commit as much to the running game as needed. UNLV called 16 pass plays (13 attempts, two fumbled snaps, one sack) in the first half to eight runs, with Gilliam taking a knee on the final play to run out the clock. The Rebels didn’t pick up a first down until 1:57 remained in the second quarter. “The biggest thing in the game plan last week is the lack of snaps,” Sanchez said. The Rebelsneed to get back to an effective run game and will need to get there by either sticking with that attack or opening it up by having success through the air. And that’s where Gilliam needs to do his part. The moment appeared too big for him early, and it didn’t help he had to throw into a strong wind in the second quarter and the receivers dropped eight passes. UNLV can be encouraged by his late play when Gilliam passed for 83 yards and two touchdowns in the fourth quarter, though he was just 6 of 17. “We started executing better in the second half,” Gilliam said. “It was the same plays we were running in the first half.